It's been there all along. In most of us, at least. Back in 1879, French surgeon Paul Ferdinand Segond first described it as it related to a particular type of avulsion fracture of the knee—the Segond fracture. 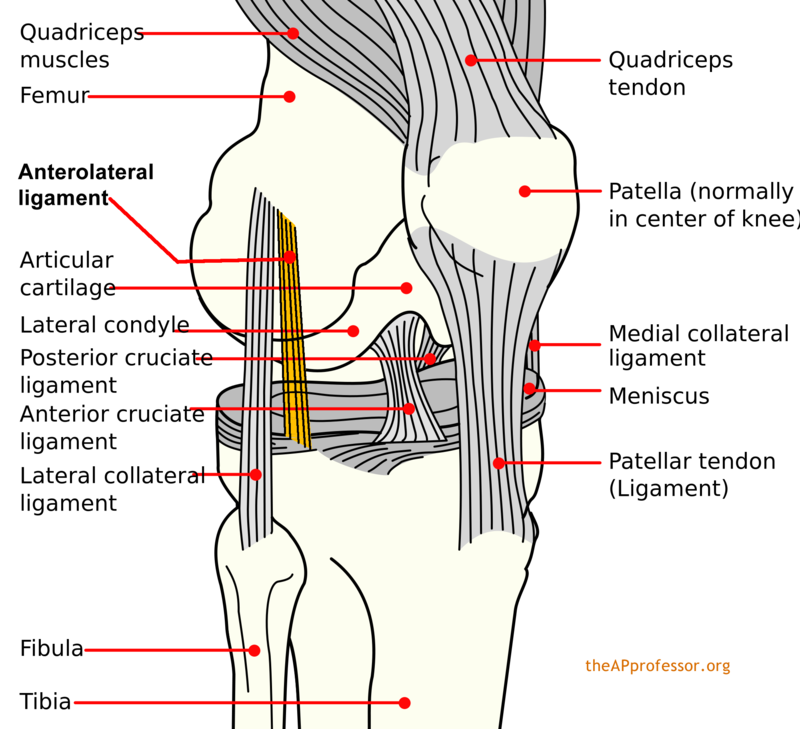 But it was never really confirmed as separate from the joint capsule and named as a normal ligament of the human knee. Until now. Dubbed the anterolateral ligament (ALL), it originates at the prominence of the lateral femoral epicondyle (just anterior to the lateral collateral ligament) and running obliquely to the anterolateral part of the tibia (attached at the lateral meniscus). So maybe we should pencil the ALL into our anatomic atlases, eh? And wait for some research to confirm its biomechanical function—probably related to controlling internal rotation of the tibia. This might also provide a good opportunity to talk about the dynamic nature of anatomical science—and the fact that human anatomy is not "finished." This the original journal article (free abstract). This is an abstract (with image) of a preliminary presentation giving prior to journal publication.